I love the kids bringing work home from school. You know I do. Right now I am loving listening to Jack and Tom read their school books more than I ever have before - and I've always loved listening to Jack. Now that Tom is getting into his reading it's just even more awesome. Take this evening for example. The kids have been driving us BONKERS since school kicking out time. They wanted to play in the woods after school but frankly the weather is awful and I just wanted to get them home in the warm and dry. But without that mental half hour to work out their "school's out giddies" they are a nightmare at home. Too much pent up energy. All while I was cooking dinner they were scrapping, arguing, shouting, whining, complaining, telling tales on each other.... All through dinner they were up and down "I need a wee", "I need another drink", "I don't like this", "he's got more than me", or simply messing about with anything and everything within reach that wasn't actually food. So by the time everyone had finished eating I was ready to tear my hair out. 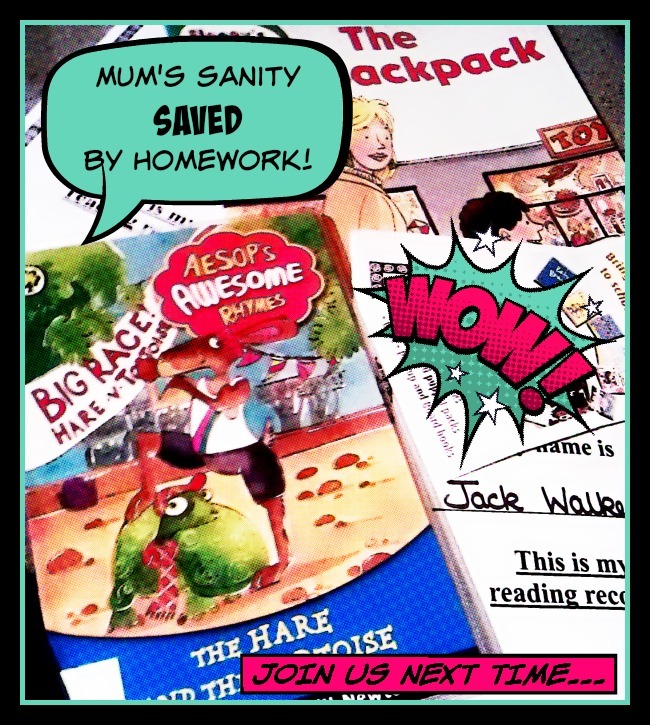 But this is part of the evening where calm can descend in our house if it's handled right... School book time! Tom went first - because he goes to bed before Jack. He snuggled up next to me while I fed Freddie, and slowly and carefully sounded out his words and read his Biff, Chip & Kipper book to me. Meanwhile Jack is sat at my feet having a "practice read" of the book he has chosen (he's a "free reader" now as he has passed all the guided reading schemes currently available to him, my little book worm!) Georgie squeezed in with me and Tom to listen for a bit, then pestered his Dad for a book to be read to him. Once Tom is was done reading he went off to bed and so did Georgie. Hubby went with them to get them washed and ready for bed, and they got another story or two in bed. I snuggled up with Jack this time and listened to him read his book with real confidence, making voices for the different characters, and discussing the story line as we went along. Even Freddie enjoyed it, he smiled and cooed at Jack while he read. It was amazing how calm they were. All of them. They all got some one-on-one time (if you don't count Freddie being a permanently attached to me), the bigger two got their homework done which puts them in Teacher's good books, and it all adds to the precious "10 minutes a day". The only problem is they don't get a new school book every day!